Morocco Adventure: the extraordinary journey begins! The Explorer Tour, which sees Hevik as a technical sponsor together with GIVI and Lucio Cecchinello's LCR Honda Team, warms its engines ahead of the official departure scheduled to take place on 9th November 2018. Once again this year, the spirit of adventure will challenge an intrepid group of motorcyclists to overcome not only their physical limits but also their mental limits. A journey from the shores of the Atlantic to the Atlas Mountains, reaching the Maghreb desert with the roar of motorcycle engines as a soundtrack. It will be a challenge against extreme climatic and environmental conditions, an encounter with ancient cultures and peoples with a strong identity. 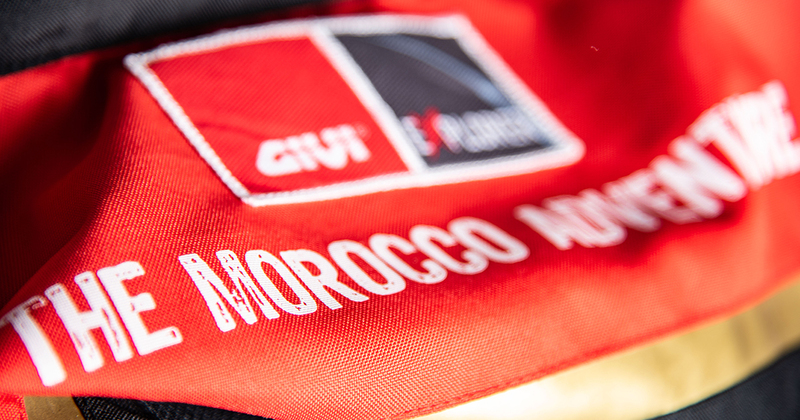 The Morocco tour promises to be a breath-taking journey. To mark this event, as well as the twenty-year collaboration between GIVI and the LCR Honda team and the historic 40th anniversary of the Brescia-based company, Hevik has created a limited edition preview of the new Ikaro jacket which will be worn by participants of the Explorer Tour. From a technical point of view, it is the same Ikaro jacket that will be on sale in stores and online from March 2019, but features an exclusive graphic dedicated to the Morocco Explorers. The Ikaro Jacket was created to defend riders even during the highest temperatures, a climatic condition that often characterizes Morocco. Consisting of extremely light polyester fabric and the capacity to provide protection against wind, without sacrificing adequate ventilation which is ensured by the net inserts strategically located on the back and chest areas and inner sleeves. The Ikaro jacket does not fear rain as it is equipped with an internal membrane that is both waterproof and breathable and designed to be worn over a jacket. How will the Explorers cope in Morocco? To find out and follow the group’s adventure, simply connect to either the Hevik facebook page or Instragram profile.